It is quite common for businesses to grow rapidly and there arises a need for IT support to maintain such large scale businesses. To handle any IT issues cropping up, companies usually employ in-house technicians. Although the issues might be resolved, there still can be practical problems associated with this method. Relying on an Annual IT support Contract might prove to be a better solution. If you are looking for an Annual IT support company, VRS Technologies in Dubai might be the right destination. One of the major drawbacks in employing in-house technicians is to spend a large amount of money while doing so. In addition, it takes a lot of effort to train and update them with the latest technology. Bearing the costs of hardware or software to fix things might be too expensive. Instead of shouldering the burden, opting for an annual IT contract company can reduce the challenges making things easier for you. One other challenge that may be troublesome is where you are located at the need of the hour. Annual IT support team offers remote IT support to professionals anywhere and anytime thereby reducing time. Technical Issues arise all of a sudden any time in the day or the year. If not fixed instantly, it may cause disruption to the work in progress. 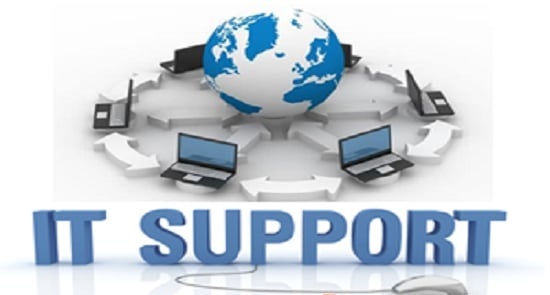 To get instant professional help from IT support Dubai team, a phone call would do. It is not always possible to have all the in-house equipment to tackle things. IT service providers have all the necessary equipment and rush to the spot to resolve things saving time. Work can be made productive enough saving revenue. You can associate with an IT support company by paying an annual fee and we at VRS Technologies in Dubai can be the right choice for you. We are adept in providing consistent services and maintenance to our customers at affordable prices. In addition to solving the issues, we offer preventive measures to our clients. To avail our annual maintenance services, feel free to contact VRS Technologies at +971 56 7029840 or visit our website www.vrscomputers.com.